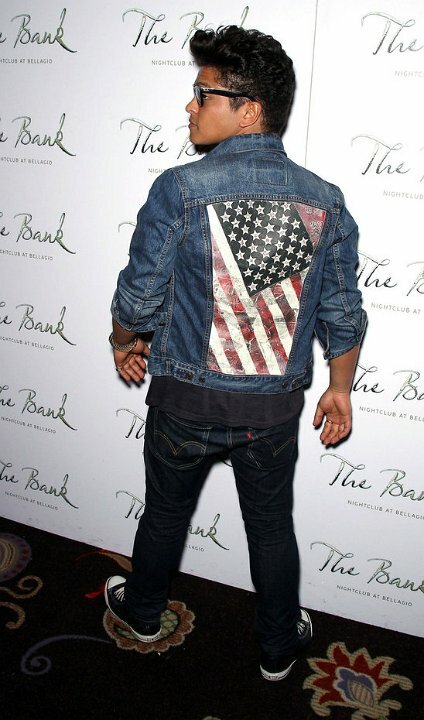 Photo gallery of entertainer Bruno Mars wearing chucks. 1 Bruno Mars Bruno Mars at a media event. 2 Bruno Mars Bruno pose from the rear. 3 Bruno Mars Pose at a media event. 4 Bruno Mars Walking on the street in his black high top chucks. 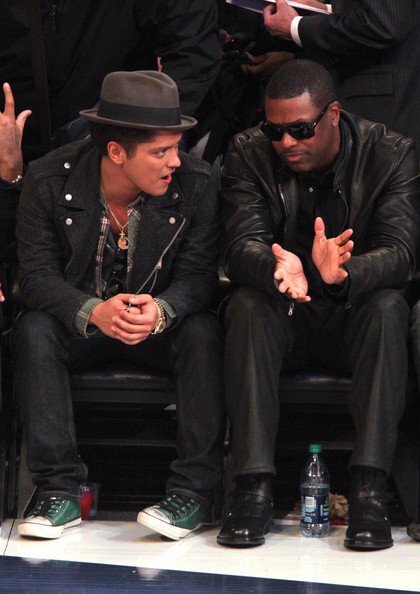 5 Bruno Mars Courtside wearing green chucks with black shoelaces. 6 Bruno Mars Bruno Mars on the Jay Leno show. 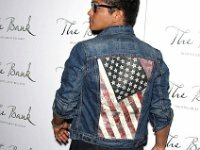 7 Bruno Mars At a media event. 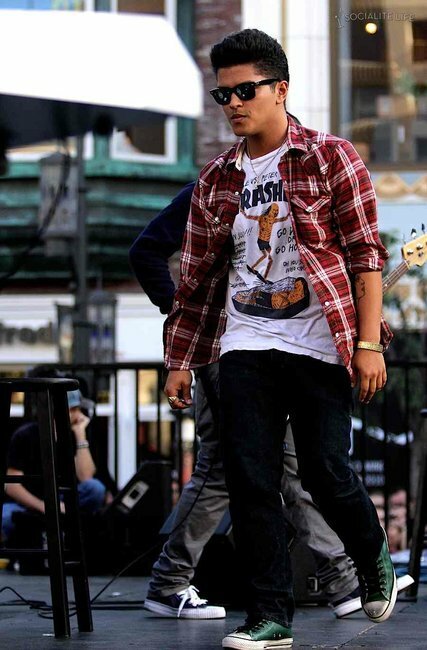 8 Bruno Mars Bruno walking on the street wearing green chucks. 9 Bruno Mars Bruno Mars at the Grammy Awards. 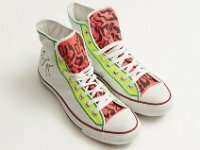 10 Bruno Mars Autographed pair of custom painted white high top chucks designed by Bruno Mars for the "In Their Shoes" charity auction. Peter Gene Hernandez (born October 8, 1985), known by his stage name Bruno Mars, is an American singer-songwriter, record producer, musician, voice actor, and choreographer. Born and raised in Honolulu, Hawaii, by a family of musicians, Mars began making music at a young age and performed in various musical venues in his hometown throughout his childhood. He graduated from high school and moved to Los Angeles to pursue a musical career. Throughout a singing career spanning 4 years, he has won 2 Grammy Awards and sold over 10 million albums worldwide and 68 milion singles sold. Four of his singles are counted amongst the best-selling singles of all time. Mars is now regarded as one of the most successful solo artists in all over the world, landing 5 number-one singles on the Billboard Hot 100 ever since his career launched in 2010, faster than any male singer since Elvis Presley. In 2011, Mars was named one of Time Magazine's 100 most influential people in the world. In 2014, he was ranked number one on the Forbes 30 under 30 list.